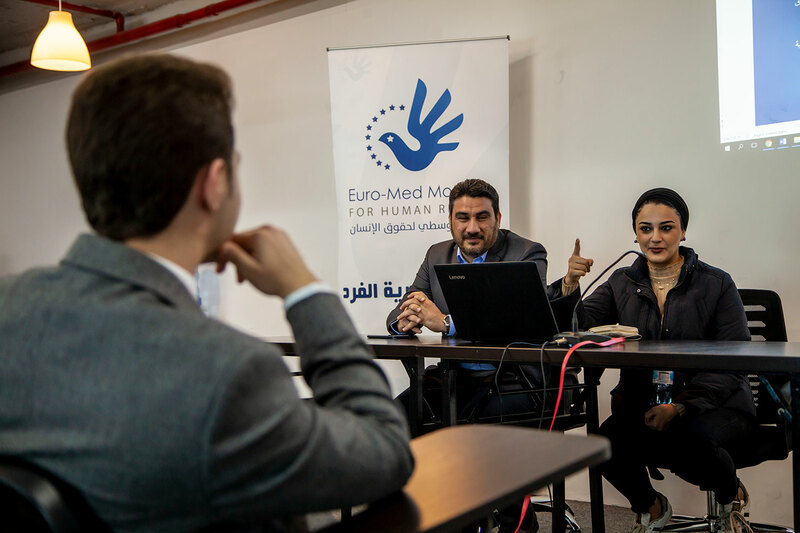 A special seminar was held on Monday by the Euro-Mediterranean Human Rights Monitor in the Jordanian capital, Amman, during which, the most important projects, activities and campaigns carried out during 2018 were reviewed, with participation from Euro-Med’s researchers as well as a large number of trainees and individuals interested in the humanitarian work. 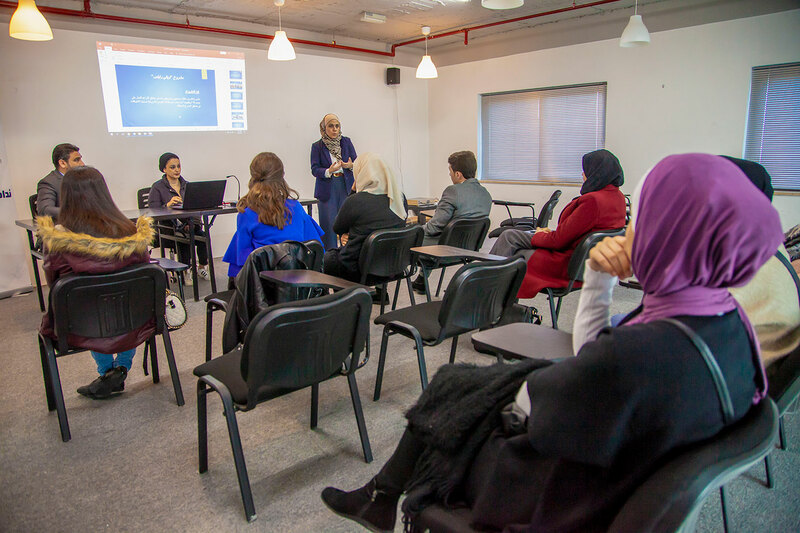 Chaired by Euro-Med Monitor’s new chairwoman Enas Zayed, the seminar included a detailed presentation of Euro-Med’s projects, including The Advocates of Justice project, the Mock Trials, the Women's Leadership Incubator project and We Are Not Number, among others. Zayed reviewed in detail the main objectives for which these projects were launched, and the positive outcomes achieved by target groups. During these projects, a special emphasis has been given to young people in particular, involving them in the promotion of human rights across the Middle East and North Africa as well as engaging them in the implementation of these objectives and strategies. Volunteers in this latest program addressed topics such as: international human rights law and international humanitarian law, mechanisms for monitoring and documenting human rights violations, as well as training on how to write reports and press releases, in addition to assignments for translation, research and drafting. 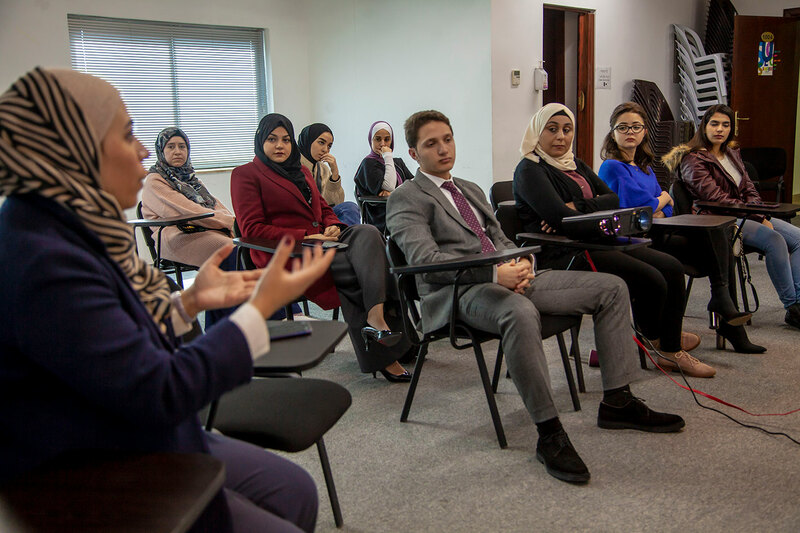 Students, graduates and those interested in human rights showed a great interest in training subjects, said Zayed, indicating that such interest was demonstrated by performing the tasks assigned to them, such as field research, gathering data and making a detailed statement on human rights. Zayed also pointed out that the importance of training comes from the fact that it contributes to improving young people’s skills and enabling them to defend their rights as well as the rights of individuals in their communities and across the region.